It’s hard not to be affected when you realize your hair is thinning or balding. No matter how much you try to hide it, deep inside you know that it bothers you and that it affects your life. You should know you’re not the only one. 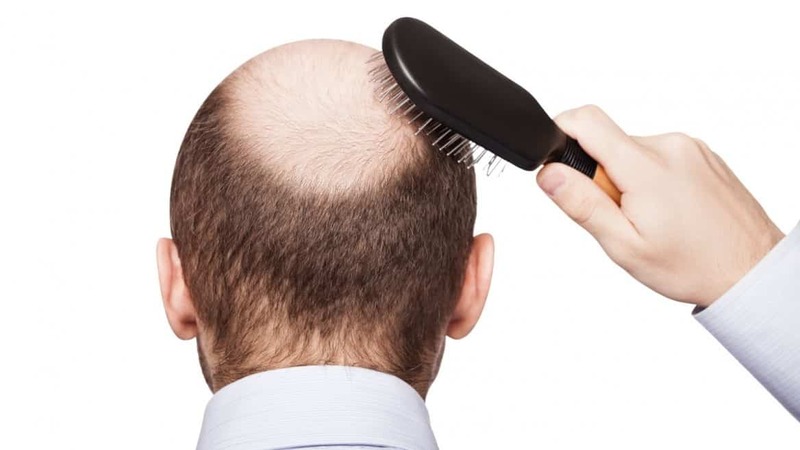 Millions of people of all ages struggle with hair loss every day. Solutions are many but not all of them are effective. And the most effective ones are too pricey. However, there is a way to rebuild your confidence and conceal your balding areas until you find a way to regrow your hair. Natural hair fibers resemble real hair and offer a natural appearance. Ronnie Passariello, CEO, and Founder of the Hair Illusion Hair Concealer decided to create his own hair fibers concealer as a result of his own battle with hair loss. Once a “best hair” winner, Ronnie went down an emotional path and lost his confidence when he started losing his hair. He says he has tried them all: Rogaine, Propecia and every “cosmetic solution” that he came across and that was available on the market. All were dissatisfactory until he skeptically tried hair fiber concealers. The effect of the fibers had a huge impact on him and he amazed his friends and family with a new concealed look. Ronnie knew he had come across a great product, but decided to create the perfect hair concealer that would help bald people all over the world. After years of research, Hair Illusion came to life. A hair fiber concealer that doesn’t only look like dust, but creates actually offers a full and thick head of hair. Ronnie stands behind his product 100% and guarantees by the fact that he uses it himself. Hair Illusion contains only one ingredient: 100% real human hair fibers. Compared to other similar products, Hair Illusion is free of animal content, synthetic dyes, silica, ammonium chloride, wool, cotton or rayon because that is exactly what Ronnie intended. He wanted the safest and closest to real hair concealer. The hair fibers concealer is effective on both men and women of all ages and races who struggle with thin, fine hair and bald spots. Since they are made out of human hair, the fibers can also cover completely bald areas and will work on ethnic hair too. The Hair Illusion Hair Concealer is effective on any type of hair or hairstyle and will cover beards and mustaches. The application process is quick, easy and painless. You can apply the fibers in the comfort of your own home or whenever needed without needing to make an appointment at the beauty salon. It takes 1 to 5 minutes to apply the Hair Illusion fibers, depending on how large is the thinning area and your skills. It will take a few uses before you get the hang of it. Each application can last from several days to a week or even longer and you simply wash out the product using your everyday shampoo. Hair Illusion customers can choose from 8 different shades (black, jet black, brown, dark brown, light brown, auburn, blonde, light blonde) the one that best matches their hairline root. The product comes in 3 different sizes: travel size (6g), small (18g) and large (38g). An average 38g bottle should last 30 days if you are using it daily on an average sized thinning area. The hair fibers concealer does not stain and the hair fibers will stay in place even during rainy weather or workout exercises. Hair Illusion is safe, it’s delivered in a discreet package and offers a 30-day refund policy for unsatisfied customers. Online merchants, retailers, dermatologists, hair restoration surgeons, hair salons and barbers can become Hair Illusion resellers by complying with some minimum requirements and by contacting the Hair Illusion staff. Hair Illusion contains only 1 ingredient: 100% real human hair. The natural human hair fibers are electrostatically charged and create a magnetized bond with your hair. Thus offering the illusion of real, thick and natural hair all over your scalp. Hair Illusion Fiber Hold Spray. Designed to create a stronger longer-lasting bond between thinning hair and Hair Illusion fibers. The hold spray can be used before applying the hair fiber when concealing bald areas, and as a finishing touch to help the fibers stay in place longer. 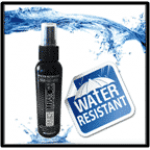 Hair Illusion Water Resistant Spray. A water-resistantproduct (NOT waterproof) that will protect the fibers in case your hair gets wet. If you get your hair wet simply let it air dry without touching it and apply more spray if needed. 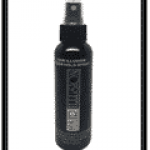 This product is not a replacement for the Hair Illusion Fiber Hold Spray. 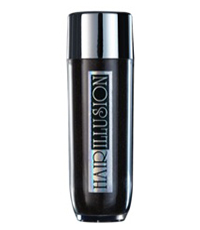 Hair Illusion Spray Applicator. The Spray Applicator offers better control on the amount of fibers used with each application. It spreads the fibers more equally and naturally in contrast with simply shaking the fibers over your thinning area. It uses fewer Hair Illusion fibers thus making the bottle to last you longer. Hair Illusion Laser Comb. 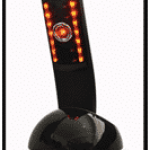 A safe-to-use and FDA approved medical device that treats hair loss and promotes hair growth. 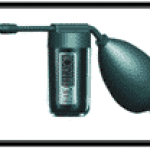 The device uses Low Level Laser Therapy (LLLT). Hair Illusion Handheld Mirror. A handheld mirror that offers a 360 degree view in order to help you make sure you have perfect coverage. It is also an easy and comfortable way to apply the Hair Illusion hair fibers. 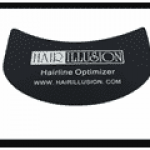 Hair Illusion Hairline Optimizer. Created specifically to help you achieve a natural-looking hairline and to help eliminate excess when applying the Hair Illusion hair fibers. Can be reused and can be stored practically when travelling. Various packs containing Hair Illusion products and accessory at a discounted price. You don’t need a professional to apply the Hair Illusion Hair Concealer, because the whole process is easy, painless and takes just a few minutes. Tap or shake the bottle over the thinning area until it is completely covered. The hold spray is not necessary for thin areas. If you have a completely bald scalp you will need to use it along with the Hair Illusion fiber hold spray to secure the fibers in place. Just apply a light layer of hold spray on your scalp, let it dry for 30-45 seconds, apply the fibers and spray again. Hold the spray bottle 10-12 inches from your hair and use short sprays. You should repeat these steps 2-3 times for best results and for a longer lasting effect. The minimum hair length required for Hair Illusion to offer great results is 0.5 inches. Hair Illusion fibers work also on facial hair, however you need to add a liquid spritz or hair spray before applying. When choosing a color make sure you always choose the one that resembles your root color. You must dry and style your hair before applying Hair Illusion. However, you can use a wide toothed comb or your fingers to disperse the fibers or if your hair still needs a little styling touch. Hair Illusion can also be used with Minoxidil and Rogaine, but make sure you apply and let them dry before applying the fibers. Besides hairspray, any other styling tool or product must be used before applying the hair fibers. Proceed with caution when using hair oils because Hair Illusion doesn’t work with any type of hair oil. All styling products must dry before applying the fibers and you can use the Hair Illusion water resistant spray if you plan on getting your hair wet. Your regular shampoo is enough to remove the fibers from your hair. When sleeping with the product in your hair use a thick scarf, a “doo” rag or a nightcap. That way you will avoid the fibers rubbing off on your pillowcase but inside of the cap instead. One of the main concerns customers have when using the Hair Illusion Concealer is that the fibers don’t tend to stay on their head but on their clothes. The fibers fall off often leaving an invest ethically colored scalp. Apparently, using only human hair fibers is not enough to create the best electrostatic charge with real hair. Some customers obtained better results by mixing it with Keratin made fibers others by applying a lot of hair spray. While some users ended up with good results and a pleasant experience, others were not so lucky. The fibers “look super real” but not even the hold spray manages to keep them from falling off especially from completely bald scalps. Although it is stated on the official site to not touch the fibers or lean on anything that might shake them off, the fibers still fall even when those situations don’t occur. However, the application process is simple, easy and quick even if it is a little messier until you get hang of it. Hair illusions work very well for thinning areas, receding hairlines or if you want a small touch and automatically give you a confidence boost. However, if you are suffering from advanced hair loss, you should not expect a satisfactory experience. Aside, from its “technical issues” (like fibers falling off anytime), Hair Illusion is actually safe. Customers haven’t complained about irritations, rashes or any side effects after using this concealer. Just in case, don’t use excess hair spray, especially when trying to conceal your beard, because you never know how your body will react to that much chemicals. In order to make the fibers stay in place, you might be tempted to exaggerate with the hair spray. Other than that, Hair Illusion does not interfere in any way with Rogaine, Propecia, Minoxidil and any other hair regrowth treatment. The Hair Illusion Hair Concealer is a safe and easy to use product that provides good coverage for fine and thinning hair. The hair fibers are made exclusively out of 100% real human hair in order to create the most natural and effective blend. However, the main issue of the hair concealer is the fibers not sticking to existing hair and falling off very often no matter if touched or not. Not even the locking spray can make them stay in place. 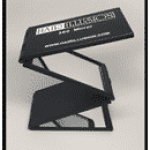 You can buy Hair Illusion from the company’s official website or from authorized resellers.